One of the amazing perquisites of being a doctor is the opportunity to talk to a wide diversity of individuals with fascinating backgrounds and interests. I’ve always had some appreciation of this during my office interactions, but with age and ripening, I have come to relish and savor these conversations. The skeptical cardiologist learns something from virtually every patient visit. On a recent office day, I received patient pearls on topics ranging from Viking River cruises in Germany, to the method by which Express Scripts squeezes money from Walgreens and drug manufacturers, to certain novels of T. Coraghessan Boyle not centered on the maniacal vegetarian John Harvey Kellogg. Not uncommonly, I’ll learn something about medicine or cardiology if I listen closely to my patients and keep an open mind. I saw a 69 year old woman (we’ll call her Donna) the other day who had advanced plaque in her coronary arteries and with whom I had initiated a discussion on the pros and cons of taking a statin drug to lower her risk of heart attack and stroke. This was not the first time we had talked about this topic; in previous visits she had shared with me her great fear of statin side effects and her desire to modify risk by dietary modification. On this visit, she came prepared with more research she had done on statins, and told me she was concerned about an increased risk of diabetes with statin drugs. I gave her my standard spiel: statins, especially more potent ones like rosuvastatin and atorvastatin, appear to increase the risk of diabetes by 10-20%, however, this is offset by the benefits of statins, especially in someone with significant atherosclerosis, in reducing heart attack and stroke. Donna then told me that she had read that pravastatin lowers the risk of diabetes. I hadn’t heard this (or more likely this slipped out of my ever-shrinking cerebral database) previously. Ten years ago, in the era before routine use of electronic health records (EHR), I would have had to just admit my ignorance and promise to look into that claim later (something that would not consistently happen due to time constraints and forgetfulness). However, now I enter the patient exam room with my MacBook Air, primarily to access the patient’s EHR and look at old notes, cardiac tests etc. Increasingly I also use the Mac to quickly look up information about a topic the patient has brought to my attention – either double checking what I believe to be true or researching claims I am unfamiliar with. Often, the topic raised is the “snake oil du jour” (for example, is turmeric a cardiovascular panacea? ), but in this case and many others, it is a relevant question about the nuances of disease or my proposed treatment. A quick search (20 seconds) pulled up a 2009 meta-analysis of randomized trials of statins and the risk of diabetes. Sure enough, one of these trials (the West of Scotland Coronary Prevention Study) actually showed that patients treated with 40 mg of pravastatin had a 30% lower risk of developing diabetes. Four studies showed no effect of statins on risk of developing diabetes and only one, the JUPITER trial utilizing rosuvastatin (Crestor), showed a slight increase. For some patients like Donna, a higher risk of diabetes may be a deal breaker for taking a life-saving medication. Although I can confidently tell her that the benefits outweigh the risks, if she has a specific fear of diabetes, perhaps related to a family member who had horrific complications of the disease, she could easily decline to take statins. In Donna’s case, this new information about pravastatin, confirmed by the wonders of Google and a fast WiFi connection led to her giving statins (in the form of pravastatin) a chance. I’ll remember this patient-triggered drop of wisdom for future discussions with patients whose grave fear of diabetes makes them balk at taking statins. Death Knell For Niacin For Lipids Sounded by FDA? 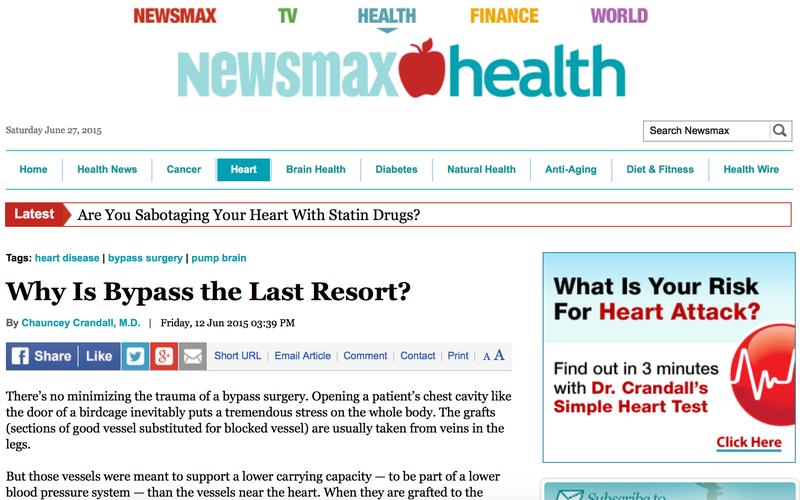 The skeptical cardiologist stopped writing new prescriptions for niacin extended release tablets in 2011. For any patient who was taking niacin, I recommended stopping it. Because niacin had favorable effects on the cholesterol profile, physicians had been utilizing it for many years in high risk patients on statins who had low HDL (good cholesterol) and/or high triglycerides. The rationale was that, since high HDL was associated with lower risk of heart attacks, raising the HDL would lower that risk. Similarly, lowering the triglycerides would improve cardiovascular risks. While niacin certainly improved the cholesterol profile, there was no good evidence that starting it in a patient already on statin would improve cardiovascular outcomes. The cholesterol profile is a surrogate endpoint: the actual treatment goal is reducing cardiovascular disease. In 2011, the AIM-HIGH study proved there was no benefit to adding niacin to good statin therapy despite increasing HDL from 35 to 42 mg/dl, lowering triglycerides and lowering LDL. This and other studies showing no benefit of niacin therapy (and worrisome adverse effects) should have resulted in the total cessation of niacin prescriptions, especially in patients on statins. Unfortunately, old habits die hard amongst physicians, and the allure of raising HDL and lowering triglycerides with niacin persisted despite a lack of evidence of any benefit in lowering cardiovacular risk. This is good news for patients whose physicians were keeping them on the unproven brand name combination drugs, Advicor and Simcor. There are still legitimate uses of niacin to prevent vitamin deficiencies but If you are still taking some form of niacin ER for the purpose of preventing heart disease with or without a statin I recommend presenting your doctor with the link to the FDA pronouncement above and having a good discussion with him about the rationale for staying on it. The other drug mentioned in the announcement, fenofibric acid, is far less often prescribed and is not available as a combination. It is the most effective drug we have for extremely high triglyceride levels over 500 mg/dl which can cause pancreatitis. I have a few patients on the generic fenofibric acid strictly for the purpose of lowering their dangerously high triglycerides but not for the indication of lowering their cardiovascular risk. Doctor, My Cholesterol Levels Are Good. Why are You Starting a Statin? I get this question frequently from patients. It is a reasonable question. If statins are a treatment for abnormally high cholesterol levels why would we start them on a patient with normal or low levels. The answer is that we are not concerned with cholesterol levels. 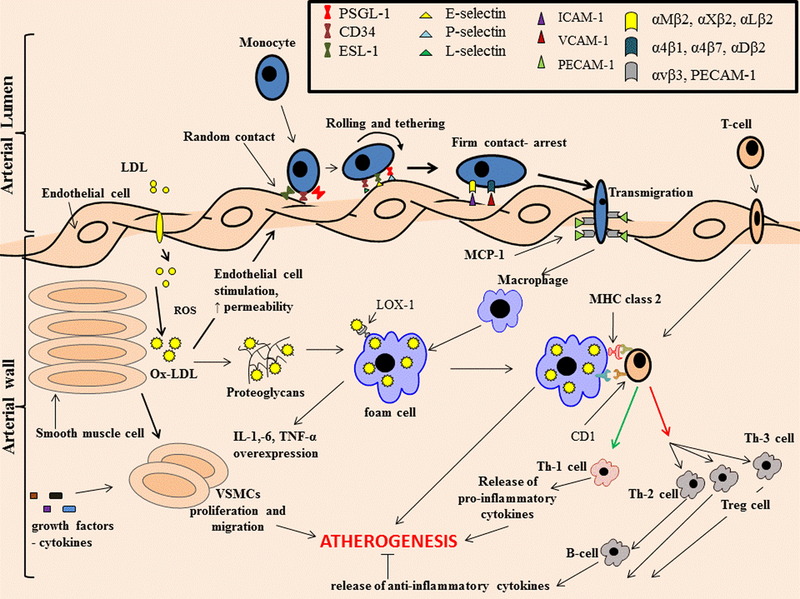 What we are concerned with is atherosclerotic cardiovascular disease (ASCVD) and its downstream consequences including heart attack and stroke. Thus, the new guidelines recommend calculating a patient’s 10 year risk of heart attack and stroke due to ASCVD ( see here for my discussion of smart phone app that makes this calculation) and if it is over 7.5% to consider starting a statin drug to reduce ASCVD risk. Cholesterol is just one of many factors that effect the risk but we know that irrespective of cholesterol level, starting a statin will substantially lower the risk. A patient who has smoked cigarettes lifelong asked me this question recently. When I plugged the patient’s excellent cholesterol values into the ASCVD app, the 10 year risk of heart attack or stroke was quite high, 14.9%. Bad cholesterol (LDL) was 90, well below what is considered optimal. Good cholesterol (HDL) was 60, well above what is considered optimal. 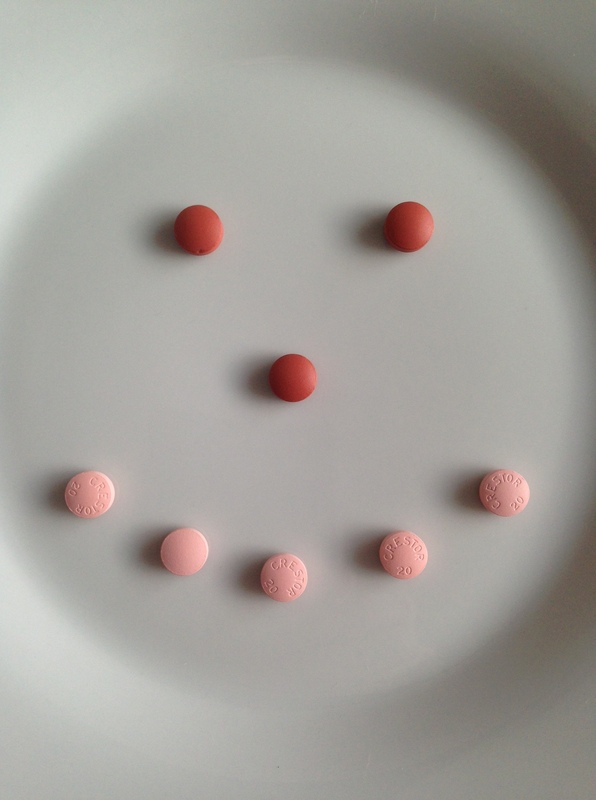 Studies have demonstrated that even patients with cholesterol numbers this good benefit from statin therapy. Their risk of heart attack and stroke will be substantially reduced over time. My patient has not yet had a heart attack or stroke and it is likely that despite engaging in the extremely damaging behavior of cigarette smoking , the genetically programmed excellent cholesterol values have somewhat protected from ASCVD. However, a vascular screening study has demonstrated that early atherosclerotic plaque in both the patients carotids. The patient has ASCVD and it is only a matter of time if the patient keeps smoking before the patient has a clinical event related to it. I told my patient that if he/she stopped smoking cigarettes his/her estimated 10 year risk would drop to 9.7% and I would not recommend statin therapy. We discussed methods to help quit and the patient indicated that the patient would start using a nicotine patch and try to quit in the next few months. Unfortunately, at follow up smoking was ongoing. Thus, my recommendation to start statin therapy despite her excellent cholesterol values. Other groups of patients besides cigarette smokers can have advanced or premature ASCVD with excellent or “normal” cholesterol values. Diabetics often have low bad cholesterol values associated with low good cholesterol and high triglycerides. Sometimes, ASCVD develops prematurely even in patients who have a low 10 year risk based on standard risk factors. This is usually in patients with a strong family history of ASCVD who have an inherited atherogenic abnormality of lipid metabolism that is not manifested in the standard cholesterol parameters (see Dealing With the Cardiovascular Cards You’ve Been Dealt). To identify these patients a search for subclinical atherosclerosis by vascular screening or coronary calcium scan is necessary. When advanced plaque is identified statin therapy is often warranted even with a low estimated 10 year risk and normal cholesterol values. So some patients can have very high cholesterol values and I don’t recommend any therapy, some have low and I do. I’m much more focused on the presence or absence of ASCVD in my treatment decisions. The skeptical cardiologist just returned from Washington, DC where he attended the American College of Cardiology (ACC) annual conference and visited Ford’s Theatre. I was hoping to gather more information on diet and cardiovascular disease but most of the discussions on prevention of heart disease centered around the new ACC/AHA guidelines for treating cholesterol. As compared with the ATP-III guidelines, the new guidelines would increase the number of U.S. adults receiving or eligible for statin therapy from 43.2 million (37.5%) to 56.0 million (48.6%). Most of this increase in numbers (10.4 million of 12.8 million) would occur among adults without cardiovascular disease. If you are a man over the age of 59 (which I just became), even without any cardiovascular disease or diabetes, there is an 87% chance the guidelines would suggest you take a statin drug. This is a startling increase and consequently there has been a lot of criticism and questioning of the validity of these recommendations. More importantly, for an individual patient, should you take a statin drug if your doctor recommends it? This is an especially good question if you have no evidence of any atherosclerotic cardiovascular disease (so-called primary prevention). At a minimum, you should have a very detailed discussion with your doctor about the risk and benefits of taking the medication in your particular situation. Statins are the most powerful, safe and effective drugs available for lowering LDL or bad cholesterol levels. They inhibit 3-hydroxy-3-methylglutaryl coenzyme A (HMG-CoA) reductase, involved in cholesterol biosynthesis. Low density lipoprotein (LDL) cholesterol concentration is lowered by reducing its production in the liver and increasing removal from the circulation. Statins also have anti-inflammatory effects, improve endothelial function, and reduce thrombus formation. 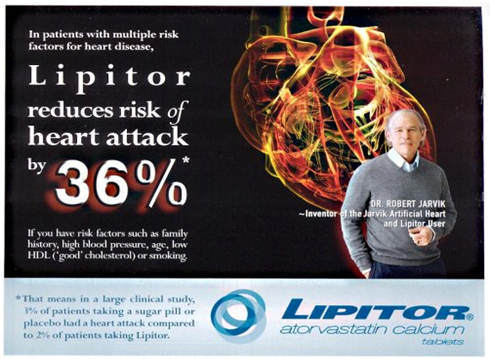 Common examples of statin drugs are Lipitor which is now available as a generic called Atorvastatin , Pravastatin, and Crestor (Rosuvastatin), which is only available in brand name form. What are the risks of statin drugs? When large scale randomized trials of statin drug therapy are analyzed, rates of adverse events (17%) or stopping treatment due to adverse events (12%) are similar in the statin compared to placebo/control groups. The incidence of cancers, liver enzyme elevations, kidney dysfunction or arthritis was the same in the two groups. 1. There does appear to be a 9% increase in the risk of developing diabetes. Most of the patients who develop diabetes on statins were at high risk for this to begin with and the overall benefits of lowering CV disease outweighs the development of diabetes in patients who take statins. 2. Statins definitely can cause muscle aches (myalgias) and this seems to happen in about 10% of patients over time. If these develop, we stop the statin and the myalgias go away if they are due to the drug. There are no reliable studies showing any long term residual muscle weakness or ache. A very, very small number of patients develop rhabdomyolysis, in which there is severe muscle damage. These patients are almost always taking multiple medications which interact with the statins and often have kidney failure to begin with. 1. That the drug will give you Alzheimer’s or make you stupid. There is much anecdotal misinformation on the web about this, but no solid evidence of any adverse effect on cognition. 2. That the drug will destroy your liver. A small percentage of patients will develop elevations of their liver enzymes (AST or ALT) but this does not lead to liver damage and is considered so insignificant now that the FDA now longer advises checking liver enzymes in patients on statin drugs. What are the benefits of statins in people without known heart disease? They lower all-cause mortality by 14%, combined fatal and nonfatal cardiovascular disease by 25%, and stroke by 22%. They lower the chances that you would need a stent or bypass surgery by 38%. Another way of looking at the benefits of a treatment is the number needed to treat (NNT). To save one life, you would need to treat 138 patients for 5 years with statin drugs. This means that 137 patients would have done fine without taking the drug. The higher your risk of developing atherosclerotic cardiovascular disease (ASCVD (all the disease that occurs as a result of fatty plaque build up in the body, including heart attack and stroke)), the more likely you will benefit from taking a statin drug. Thus, the new guidelines utilize a risk estimator that takes into account your total and good cholesterol values, your systolic blood pressure, age and whether you smoke, have diabetes or treated hypertension to calculate your risk of developing clinical ASCVD over the next ten years. If this ten year risk is over 7.5%, statin therapy should be considered. I’ve looked over the guidelines carefully, read a lot of the original studies and listened to the discussion and I think this is a reasonable approach. I try to present each patient with the risks and benefits and let them make the decision as to whether they want to take the drug. Each individual has a different perspective, perhaps heavily influenced by their father having died of a heart attack in his fifties or by a close friend who feels that statins ruined his life. The new guidelines no longer look at the LDL or bad cholesterol level as a goal or as a level for initiating treatment (unless it is super high, above 190). Thus, the only reason to be checking follow up cholesterol panels on patients who are taking good levels of statin drugs is to verify compliance and an effective reduction in LDL from baseline. I will not try to get your LDL below 100 or 70 and you will not have to worry that it is not at that level. The new guidelines rightly emphasize statin drugs as the only drug therapy that has good outcomes data (meaning they have been show to reduce heart attacks and strokes) supporting their use in primary prevention. Ezitimibe (Zetia) is a commonly prescribed drug which lowers LDL cholesterol but is expensive and has never been shown to lower heart attack or stroke risk and, in my opinion, should not be prescribed. Our goal should be prevention of heart disease, not lowering LDL levels or triglyceride levels. I believe that we can fine tune which patients will and will not benefit from statin therapy by looking for evidence of what is called “subclinical atherosclerosis.” I plan to review this in a future post. Tell your cardiologist you will sockdologize him if he doesn’t give you a good discussion of the risks and benefits of the statin drug he is recommending.